We are getting off to a creepy-crawly week. 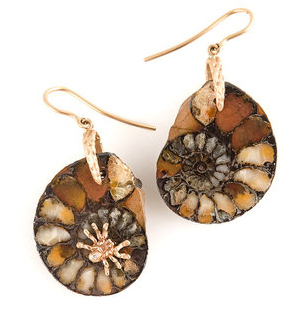 I jumped at the chance to feature these ammonite earrings and much to my surprise they include…a spider. The earrings are from Anna Ruth Henriques and the spider is her signature.